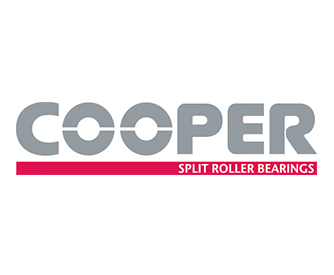 Cooper split bearings were invented by Thomas Cooper back in 1907. Since then the Cooper brand has been universally accepted as the benchmark for split roller bearing quality and expertise. More than 100 years later, Cooper is proud to continue offering the highest quality and widest range of split to the shaft bearings on the market, confirming the company’s status as technology leader. 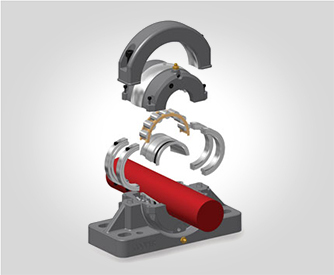 Cooper split bearings are the ideal solution in helping reduce machinery maintenance and (planned or unplanned) repair downtimes. 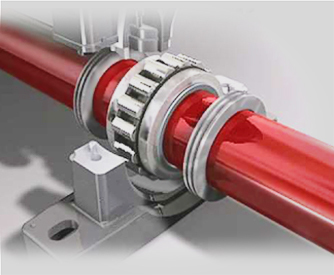 The benefits of a split bearing are especially valuable in inaccessible or hard to get at locations, as they eliminate need to dismount associated equipment. Split bearings come in small component sections, making the task of assembly or changeout simple even in the most limited, tight conditions and work spaces, and no specialist fitting tools are required.